The Reserve Bank of India's (RBI) bi-monthly monetary policy meeting that kick starts later in the day, is going to be on investors' radar on Tuesday. The Reserve Bank of India's (RBI) bi-monthly monetary policy meeting that kick starts later in the day, is going to be on investors' radar on Tuesday. In addition, global markets, oil prices, next leg of corporate earnings for December quarter and movement of rupee against the US dollar will also guide the market. Among top news, lenders to the Zee Group have asked the company's chairman Subhash Chandra to provide a personal guarantee for payment obligations on an "irrevocable and unconditional" basis. The Zee group owes Rs 13,500 crore to lenders, whose exposure is secured by equity shares of listed firms that include Zee Entertainment and Dish TV. Reliance Communications (RCom) on Monday moved the National Company Law Appellate Tribunal (NCLAT) to withdraw its opposition to an insolvency petition filed by Ericsson India in the NCLT, Mumbai. Ericsson and RCom had reached a settlement agreement in the NCLAT. The tribunal had, however, said Ericsson could revive the insolvency petition if RCom failed to pay within the deadline. Also, despite negative investor sentiment, the Anil Ambani-led Reliance group is planning an initial public offering (IPO) of a group company as early as this financial year. State-run coal coal miner Coal India on Monday said its board of directors has approved buyback proposal of over 4.46 crore shares at a price of Rs 235 a piece for an aggregate consideration not exceeding Rs 1,050 crore. Over 125 companies are slated to unveil their financial results for December quarter of FY19 today. Some of the prominent names include Apollo Tyres, BHEL, GAIL, Dish TV, DLF, Century Ply, Reliance Infra and United Bank of India. The rupee on Monday dropped by 55 paise to close at 71.80 to the US dollar, the lowest level since December 17, ahead of the Reserve Bank of India's policy review meet. At 07:04 am, Nifty futures on the Singapore Exchange (SGX) traded 6 points or 0.05 per cent lower at 10,942. Recent US data and the Federal Reserve’s dovish turn kept lifting Asian stocks early on Tuesday, while the dollar held the upper hand against its rivals. In the overnight trade, US stocks ended higher on Monday, with all three major indexes closing near session highs as sustained optimism on the prospects for US-China trade relations propelled technology shares. US oil prices inched up on Tuesday. US West Texas Intermediate (WTI) crude futures were at $54.73 per barrel at 5:50 am, up 16 cents from their last settlement while International Brent crude oil futures had yet to trade, after closing down 0.4 per cent in the previous session. Mutual funds (MFs) and foreign institutional investors (FIIs) have seen sharp erosion in the value of their investments as allegations of corporate governance lapses have pulled down share prices of some of the widely-held companies in recent times. 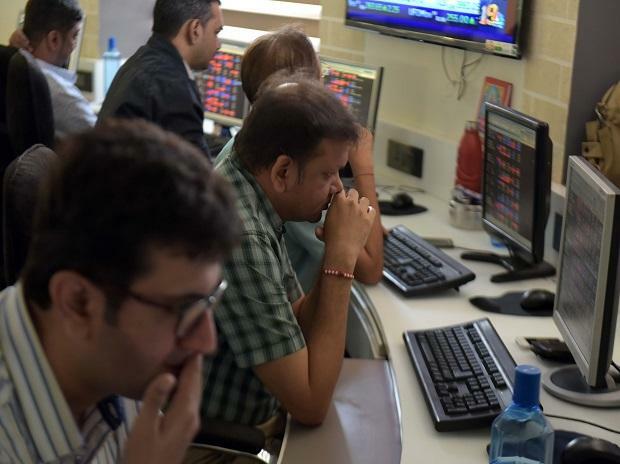 According to data, the fall in shares of Zee Entertainment, Vedanta and Dewan Housing Finance (DHFL) has eroded close to Rs 11,000 crore of these institutional investors’ wealth in just a month. The erosion in the value of investments has been estimated based on the shares held by MFs and FIIs as of December 31, 2018, and the change in stock prices since then. Since January 1, the wealth erosion in case of MFs is Rs 2,505 crore, while for FIIs it is Rs 8,408 crore. The maximum losses are in case of Zee Entertainment, followed by Vedanta – both the companies are part of the benchmark Nifty index. With indirect tax collections coming in well below expectations, the Centre’s fiscal deficit stood at Rs 7.01 trillion at the end of December, 12.4 per cent higher than the budgeted target for 2018-19 and 10.6 per cent higher than revised fiscal deficit target, the data released by the Controller General of Accounts (CGA) showed. To contain the deficit, the government has cut back on capital expenditure (capex), which was 61 per cent lower in December this year, compared to the same period last year. In the first nine months of the current financial year (April to December), the Centre’s gross tax revenues have grown by a mere 6.6 per cent, against the revised target of 17.2 per cent.